December 5, 2015 December 5, 2015 sarahchristinemusicLeave a Comment on Right now is the perfect time to wake up and live your life! Right now is the perfect time to wake up and live your life! Here we are with just one month left of 2015! Seems so hard to believe, but true to the saying, “Time flies when you are having fun!” And I am having a blast! 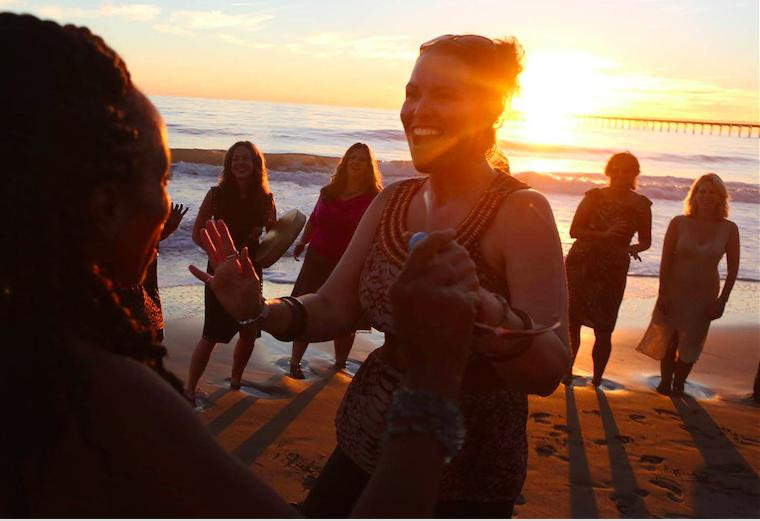 I recently returned from 5 glorious days in the Santa Barbara sunshine where I had the incredible honor to perform for the radiant women in attendance for Wealthy Goddess LIVE at Bacara Resort & Spa! Earlier this month I completed the filming for my music video ‘By The Sea’ which was captured entirely on Vashon Island during the super moon! The video is currently in the editing stage and I’m so excited to share the finished project with you all soon. Coming up this month I will be at Seatac Airport, Kelly’s Mercantile in Enumclaw, SIP Wine bar in Issaquah and Open Space Theater on Vashon Island where I am thrilled to do an opening acoustic set for the Shook Twins! Concert details listed on the “shows’ tab. As we find ourselves embarking on yet another Holiday Season I would like to encourage you to keep those less fortunate in your hearts and minds. Perhaps consider giving to the local food bank, volunteering at a soup kitchen, donating money to a charity or coats & blankets to the homeless. There are so many people in need! One cause that I was recently made aware of and am choosing to support is The Unstoppable Foundationwhich is successfully working to eradicate poverty in Africa by implementing a holistic 5 pillar method: Education, Healthcare, Nutritious food, Access to clean water & sanitation and Education & job skills training for parents. This charity gives 100% of the donations directly to the communities! However you may choose to give, do so from a place of genuine gratitude and appreciation for all your blessings. Take good care and I hope to see you soon.